There are many cute planners out there, but sometimes you need to create your very own, perfect for you planner and that's just what Alexia Misso did! 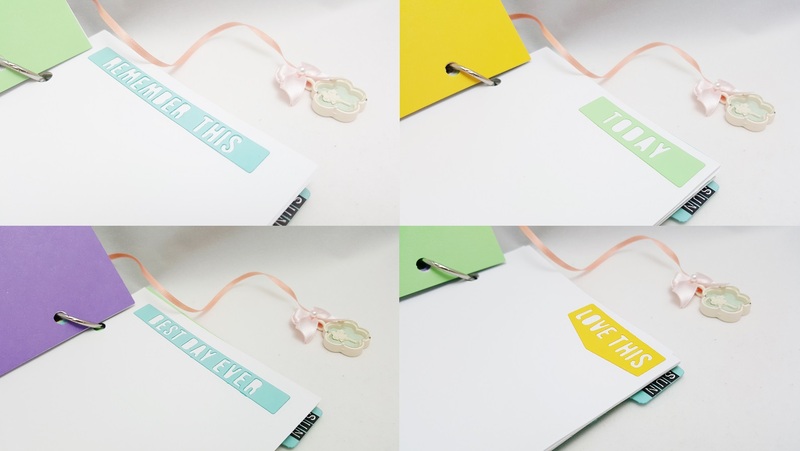 See her GORGEOUS DIY planner below! Hello all! Welcome to Craftwell's blog. It's Thursday which means it's my turn to share with you project ideas here today. Although the school only starts in September, I think it would be great to get ahead of time and made this daily planner for myself before the kids start going back to school. As we know the gold color is in trend recently so I incorporated this gold foil color on my daily planner's cover! It sure is shiny! To make this cute daily planner I first prepare two 4 3/4 x 6 chipboard card stocks to be used as the front and back covers for the planner. I then chose a stencil and apply modeling paste over it (only the surrounding). While waiting for the modeling paste to dry, I die-cut the frame using My Favorite Things' stitched frame dies with Cut 'n' Boss . Also I emboss a gold foil card stock with embossing folder from Couture Creations. After you completed this step check the modeling paste to see if it's dry, air-brush it with pink distress ink if it is (with the same stencil pattern as the mask). Here is the embossed gold foil card stock, isn't it beautiful? 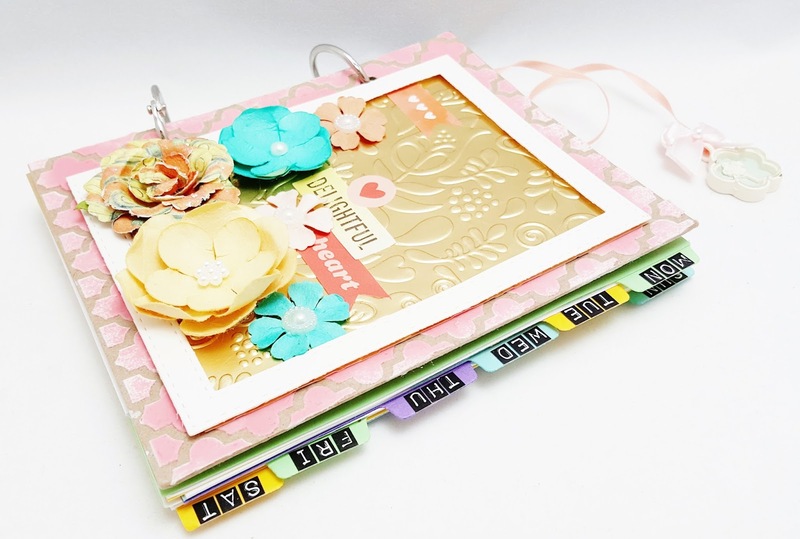 Prepare few same size card stocks in different colors as the page divider and die-cut the tabs using Teresa Collins' tab die. Glue the tabs to the card stocks and label them. 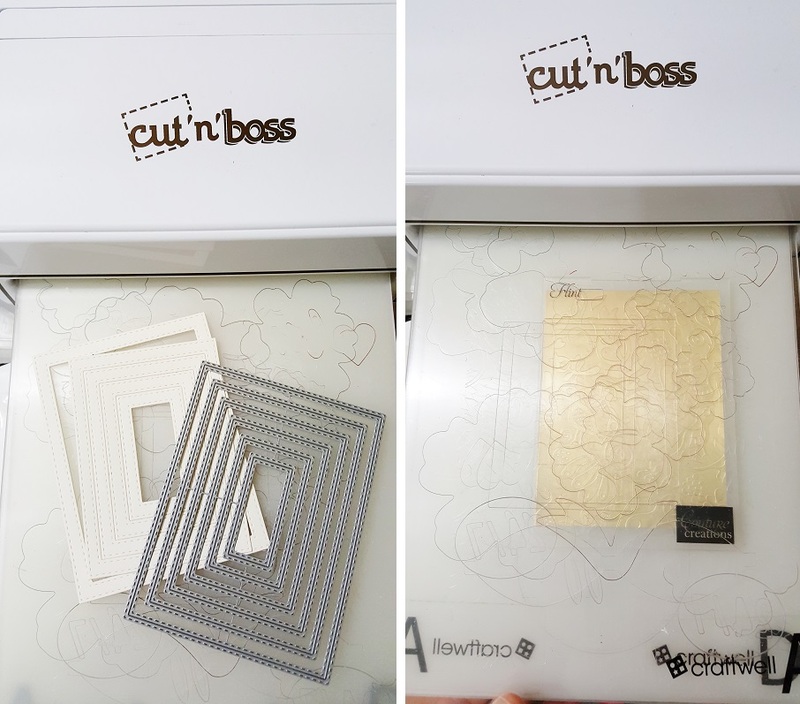 Using double-sided foam tape, adhere the embossed gold card stock behind the stitched frame and glue the two on to the cover with stencil pattern. Start embellishing! More fun die-cutting! And this SPARKLE page, so yummy looking! I love the little trinket string bookmark too. I have to start filling up the page now because I can't wait any longer. hehe. Thank you for visiting my post today, I hope you like the project! Happy Crafty Day! !